Everyone, let me just say that I am beyond floored...I just received my first blog award and first blog feature! So, here's my bloggy-world week recap: first guest blog post.....first blog award....first blog feature.... and first blog giveaway win....Yes, that's a lot for this girl to take in, but I am really trying. Let's just say that Mr. X can skip showering for uhhmmm, two days...that's how stoked I am about all this. 3. 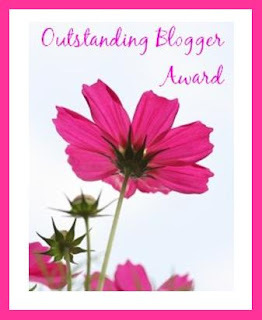 Pass the award on to fifteen (15) bloggers who I believe deserves this award! Thanks to Colleen from Adventures of a Small Town Girl, I really appreciate the award! You are absolutely amazing to have awarded me this, and I will try to live up to expectations. Everyone please check out her blog when you get a chance. 1. I am the 7th child of ten - yes, I come from a very large family! 2. I have 24 nieces and nephews, so holidays and birthdays are a little hard for me. 4. I am very stubborn and sometimes a little obsessive - OCD..
7. I have two little doggies, the eldest is Koby (he is a YorkiPoo) and the youngest is Kylie (she is a LhasaPoo) - a little narcissistic - Kiki, Koby and Kylie!! Ladies, you represent a lot of my firsts here in the blog world and I wanted to thank you by sharing my first award with you! Kiki, thanks so much for this award, Now it's going to be a little hard for me to pass this on....let me put my thinking cap on. I hope your having a great weekend. Thanks so much girl. I'm touched. Loved reading all the facts about you. I also come from a large family and have tons of neices and nephews. I lost count. 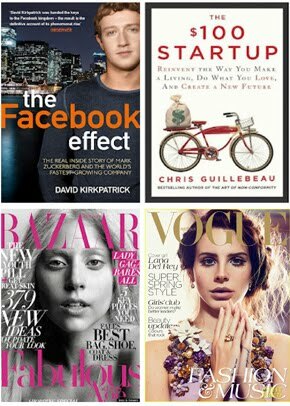 And congrats on the all bloggy success! That's awesome! How Sweet! I can't wait to live up to the blogging award! congrats to all of you and Kiki! you all deserve the award! Wow!! that's awesome Congrats!! !Have a great weekend! Congrats!!! That is amazing and that's what you call a very busy week!! Thank you for the award, Kiki... you are so sweet! I'm very, very honoured. Trust your weekend is going well. Thanks, again! Congrats to you sweetie! You deserve this for sure! Oh and thanks a million for passing this award on to me! My first award too! 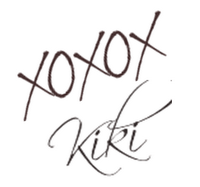 Kiki - thank you so much. An absolute surprise and very much a thrill! I love that you are a dog lover and what a large family to come from. So nice to get to know you a bit better. As soon as I post the award, I will let you know most definitely! Thanks again. =) I hope your weekend is going swimmingly. Thank you so much for the award and for stopping by my place. It was my pleasure to feature you this week. Have a fabulous weekend. Take care. You're welcome. :) I just got my first one recently, and this was my second, so I know how exciting it is. I'm honored that I could be a part of this bloggy first for you! You deserve this award, congrats! Also, thank you so much for sharing it with me!! You made my weekend, Kiki. Congrats to you!!! And thanks so much for thinking of me! Thank you so much for thinking of me! Congrats! 7 of 10...yowza! Pete's Dad is one of 8 boys...everytime I think about his grandmother I get the sudden urge to take a loooong nap in her honor! *hugs* Thanks so much for the award! And congrats to you wonderful lady! Big congrats on your award and thanks so much for passing it on to me! So sweet!